I have spent a decade in the online space now. I realize that’s a relatively short time compared to some others. I was a bit of a late adopter to the whole online, social media world. I was too busy birthing babies to pay attention to the digital revolution happening around me. But like most, when I found it I fell madly in love. The online world gave me a reprieve from the emotions of rearing very young children. While I felt confined to my home during nap times and potty training, I found that I could escape through the computer screen, and this provided a needed balm for me during those early years. Through digital media, I’ve made some of the sweetest friendships around the world, simply through a few taps of the keys. I love the digital world. For all of the bad that comes with it, an awful lot of sweet is waiting there, too. A phenomenon has occurred over the last decade since social media has exploded. We, as a people, have become more detached, more agitated, and more distracted. While social media has connected people who may have never met otherwise, it has also strained family relationships, ruined friendships, and driven wedges between real life communities. This means that in the course of me writing this post, I have checked my phone a minimum of three times. There are reasons for this, scientific reasons that deal with the chemical components of our brains, which I won’t get into here, but the gist of it is the digital age has changed us. Humankind has always been prone to distraction. It is a natural tug that all of us fight in different ways, and to varying degrees. Sometimes we seek the distraction out willingly. As I typed up this post, I naturally ran into moments when the words wouldn’t flow freely. Rather than stop and sit silently, mulling over my thoughts, my natural inclination was the reach for my phone. Distraction fills the void when we aren’t sure what to do next. Distraction also allows us to escape the realities of life. Crying children, pressing deadlines, mounds of laundry, answering emails – all of these things tend to overwhelm us, and we’re looking for an escape. With the swipe of my thumb, I can enter into a world that doesn’t expect anything of me except maybe a like here or there. We are prone to distraction, and it is having its affects. Beyond that, this digital age is changing how we relate to one another. We’ve all seen it happen, especially in these tenuous times politically. Two friends, or family members, with differing political viewpoints, spew heated jabs back and forth, typing things they would never say in real life, because the digital screen detaches us from real human emotion, and the results are cringe-worthy. Psychologically, the pressures young people now feel to “keep up” or look a certain way are astronomical. It’s always hard growing up. We all remember arriving at school on Monday and hearing about a party we weren’t invited to the weekend before. We know how that feels. Young people now can watch a party they weren’t invited to happening live, compounding those feelings of rejection and exclusion. There’s no doubt that for all the good this digital media age has brought into the world, it has also brought a lot of baggage along as well. So what do we do? How do we protect ourselves and our children from being sucked into the digital age in all the unhealthy ways? We shouldn’t allow ourselves, or our children, unfettered access to digital media. We need to be able to step away from the screen and join the real world, and it shouldn’t cause consternation or angst when we do so. If it does, then maybe it’s time for a little detox. Our kids need to learn the art of awkward interactions. They need to learn to be still. They need to know how to walk into a room of people they don’t know, who may not be like them, and figure out how to make a friend. Phones have replaced those awkward interactions to the detriment of our young ones. We also need to remember the feel of a good book between our hands. While the digital age has made reading more available, and cheaper, than in previous years, it has also changed the way we read. Our eyes naturally skim over a digital screen, which means we read faster, but potentially comprehend less. Several studies have shown that reading on paper actually forces us to read more slowly, therefore ensuring we better comprehend what we’re reading. This post could go on and on, but then I’d simply be rambling. Instead, I will encourage you to pick up a copy of 12 Ways Your Phone is Changing You. It’s an eye-opening book that will change the way you interact with your smartphone, and with the people around you – the non-pixelated people who require eye contact. 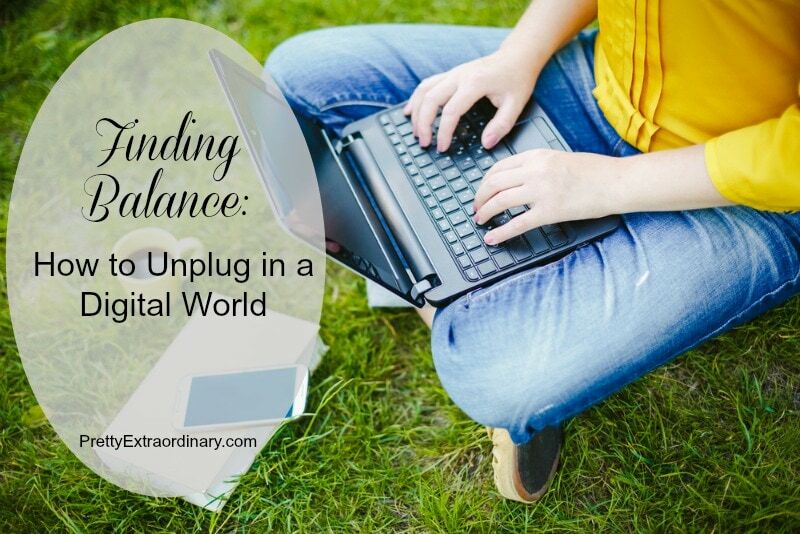 How do you stay balanced in this digital world? 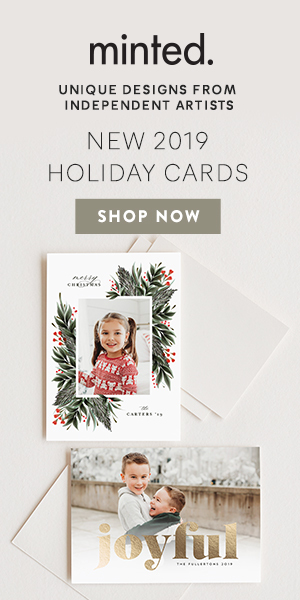 Great Blog, Thanks Kelli Stuart -Filed! It’s a nice article for awareness ourselves for finding the balance and how to unplug in a digital world.